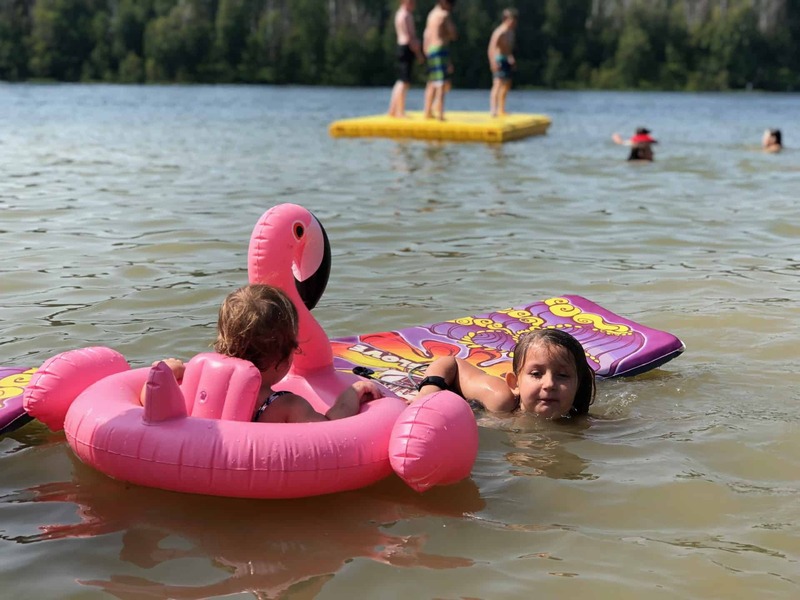 There’s a hidden gem just under ninety minutes outside of Edmonton where you’re going to want to add to your summer bucket list of places to discover and beaches to cool off at – it’s one of our favourite places to spend a summer day outside of the city! Long Island Lake Beach is a municipal park, and campground, that has one of our favourite beaches. 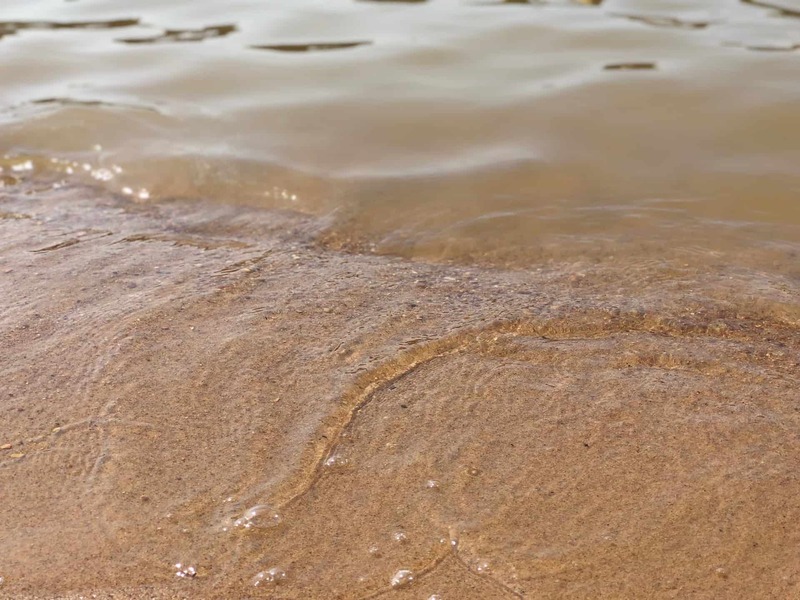 Clean sand, bathrooms (outhouses) on site, and soft sand for the kids to play in, with a soft sandy bottom in the lake, and a dock for older kids to jump from into the water. How much does it cost? The cost for a day pass for the beach is $5, and to camp overnight it’s $25/night for tents. Bring cash with you, otherwise you’re going to have to get out of your vehicle and pay inside of the office/concession, and it’s going to add just a few more minutes to your trip to the sandy shore. How do you get there? Use these directions to get to Long Island Lake Municipal Park, and you’ll find the entrance. Tip // get there early in the day. Though it’s out of the way, it’s still popular and they try to limit the area with parking for day use, keeping it from being over crowded. This means that you’ve got to get there early, or you’re going to be waiting in line outside of the gates for people to leave, as managers will let additional people in when others leave. Though the water begins shallow enough for toddlers to play in, it drops off quickly (great for adults that want to cool off in the water). Though our children are strong swimmers for their ages, I would have felt more at ease had we brought along life jackets, in addition to the paddle boards they were using to get out the dock that was near-enough to shore, but over their heads. 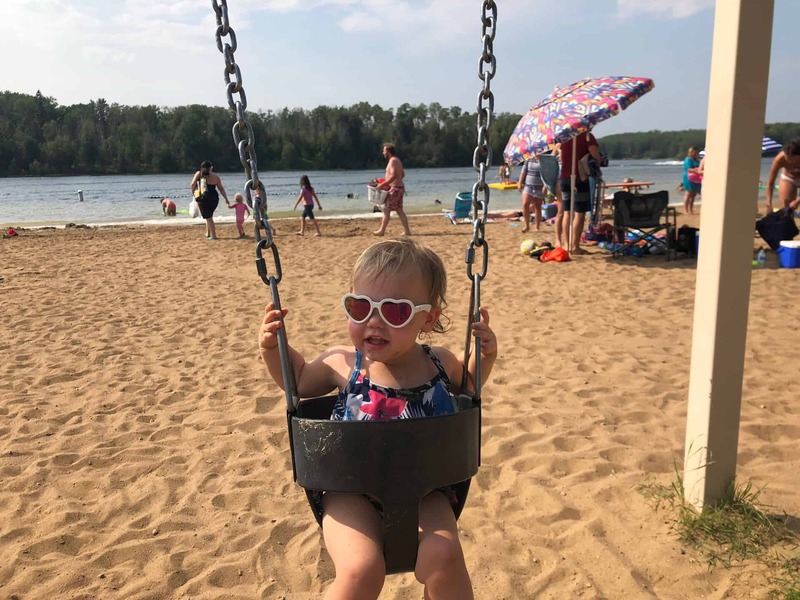 Long Island Lake beach has a concession shop, where you’ll find a small assortment of items that come in handy in case you’ve forgotten something at home, but you can also stop in Westlock, before you arrive at the area to grab anything that you’ve forgotten. Pack a picnic, fuel up the car and head out for the day, the day use gate opens at 9 am and closes at 11 pm.